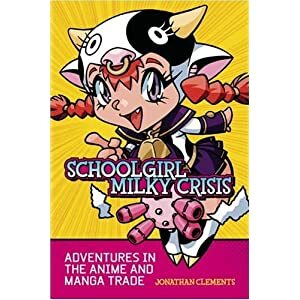 This entry was posted in News and tagged Blu-Ray, NEO, Schoolgirl Milky Crisis by ixarette. Bookmark the permalink. That article seems somehow longer than I remember it in NEO…! As always, you brilliantly weave several conversational threads from several people into a cogent, pithy analysis that makes up the weave of history while it’s still happening. Good stuff, and a useful reminder not to get too big for my boots – human buffer zone indeed! I’m certainly concerned about the way that many of the lay-offs have happened in the Western arms of the comapanies, if only because dialogue between the studios, distributors and fans is all the more important in the high speed, cut-throat internet fansub age. Communication technology is much better than even a decade ago: we need more people bouncing new ideas, not fewer! I can understand how this has happened but the markets really are so different you can’t have everything run from the same place. I’ve often read and heard complaints about how international releases are handled, sometimes asking myself, “do they know how their stuff is received internationally? Do they actually care?” I guess it’s a similar situation when fans here in the UK and stateside are complaining about small lapses in schedules and production values while the studio staff are overworked and underpaid; I think the lack of communication is in both directions but that doesn’t make it any less worrying. Oh dear. Does that mean we will have to look back on the glory days of Manga Video with something resembling nostalgia?